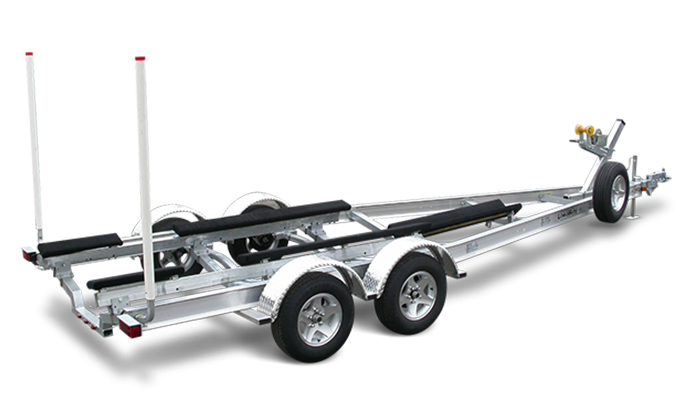 Load Rite ski boat and inboard trailers include a dropped rear crossbar and prop guard straps. They feature our patented I-beam frame to provide exceptional strength and stability along with weight-saving, corrosion-resistant aluminum construction. Dedicated gutters shroud wiring and brake lines along the length of the frame, while integrated fastener channels for axle and fender mounting minimize unsightly U-bolts straddling the frame. These models are designed for boats up to 25 feet and include a long list of numerous features such as LED lighting, a dropped rear crossbar for inboards, aluminum diamond plate fenders with extruded fender steps and steel bunk supports and more. 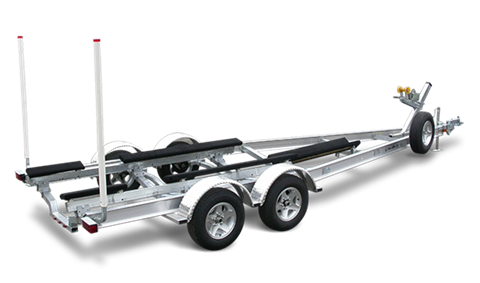 Numerous options allow you to create the Rite trailer for your boat and your budget.